Once in a while a major gadget manufacturer decides to launch a product in India ahead of other nations. This time around LG Electronics, the South Korean electronics company, decided to launch its latest Android smartphone in India, before CIS and Europe. 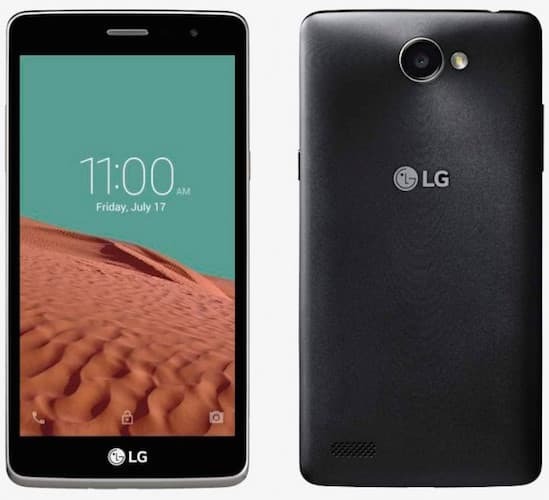 The Android 5.1.1 OS running smartphone is called LG G Max. Bearing the price tag of Rs. 10,990, the phone may seem a power-packed phone owing to its name. However, a look at its specifications list will assure you that it is just another product with run-of-the-mill features that fail to impress a consumer standing in an overcrowded Android phone market in India. For starters, there's the 5 inch screen with below average 854x480 resolution display. The 1GB RAM coupled with 8 GB internal storage (with microSD support) make up for the phone's storage. Having a 1.3 GHz Quad Core engine at its core, the LG G Max comes in two variants - a single SIM and a dual SIM. On the LG Max's rear end, we find a 8 megapixel primary camera that support gesture shot feature. On the front, there's the ordinary 5 megapixel snapper with selfie flash support. The phone's 2540 mAH battery powers up the phone and keeps it running for most part of the day. Available in 3 color options: Gold, White and Titan, the LG Max is a 3G-Only smartphone with no support for LTE at this point. With that we come to the end of the features adorning the new Android device on the block. There's no mention of the phone on the LG India official website as of now, but we are assuming that it will pop up across the Internet via ecommerce portals and other brick and mortar stores soon enough. What are your thoughts about the new phone? Share with us in comments below.